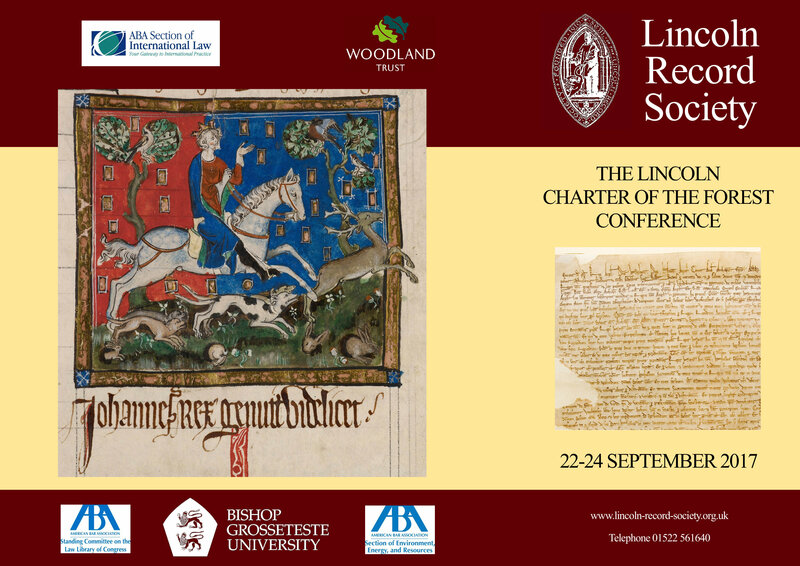 Great news - the booking deadline has been extended until the 1st September for the Charter of the Forest conference! All Lincoln Record Society members should now have received a hard copy of the booking form for the conference in the post and it is also possible to download and print a booking form from the Lincoln Record Society website. As the deadline for booking has been extended until the 1st September, this should give you plenty of time to get booked in for this once in a lifetime opportunity to explore this unique Lincolnshire document in its 800th anniversary year. A historically significant document, and companion charter to Magna Carta, this will form the focus of our research conference, which will take place from the 22nd to the 24th September 2017. Don't forget to reserve your place, we look forward to seeing you there!